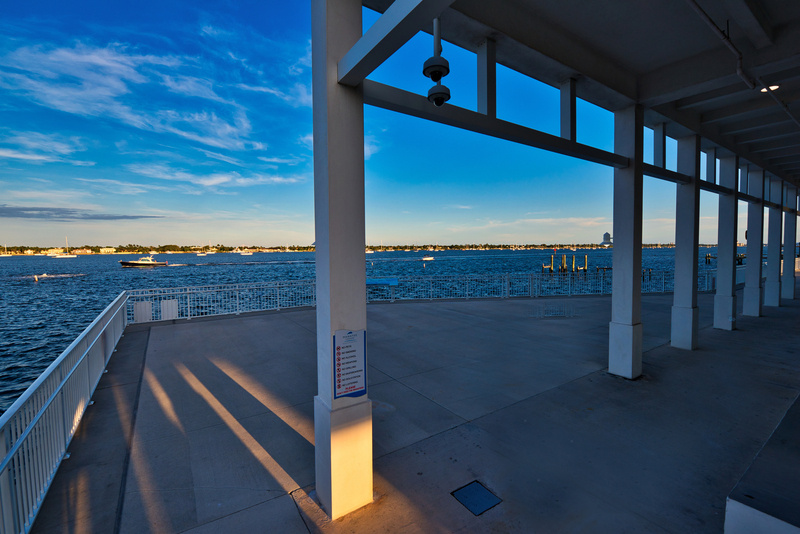 Manatee Lagoon is a one-of-a-kind event venue featuring panoramic, waterfront views and multi-functional space options for meetings and events, large and small. It's one of the few venues in the world where you can catch glimpses of Florida's favorite marine mammal glide by as you take in the picturesque views of the surrounding Lake Worth Lagoon. From corporate functions to elegant weddings, Manatee Lagoon is a venue that your guests will remember forever. Catering services are provided by the relevant catering companies and not Florida Power & Light Company. FPL is not responsible for any catering services offered, performed or to be performed by these companies. Logos, trademarks, service marks and trade names referenced in this material are the property of their respective owners. Manatee Lagoon is a two-story, 16,000-sq.-ft. facility with five unique event spaces in one location that offers a fully customizable experience for any occasion. Pending availability and accessibility, any of our event spaces can be reserved for your event at no additional charge to our standard rental rates. WHAT DOES THE VENUE RENTAL PRICE INCLUDE? At no additional charge, pending availability and accessibility, any of our 5 event spaces can be reserved for your event. At no additional charge, in our Main Room, we offer a full suite of audio visual equipment including a podium/lectern, microphone (lavalier and hand-held; 2 sets), automated projector screens, and HDMI, VGA, and audio outputs. Free Wi-Fi is available inside the Manatee Lagoon building. At no additional charge during Manatee Lagoon’s normal business hours (Tuesday-Sunday, 9 a.m. - 4 p.m.), Event Organizers can request a private tour for event guests on Tuesdays through Sundays, during the following times: 9 a.m. - 10 a.m.; 11:30 a.m. - 12:30 p.m.; and 2 p.m. - 4 p.m., pending availability. Manatee Lagoon has 24-hour security. Pending availability, at no additional charge, Event Organizers can request that Manatee Lagoon’s Gift Shop remain open if an event is scheduled outside of normal business hours. Requests must be made 60 days prior to your event date. WHAT IS THE AVERAGE PRICE OF AN EVENT OR WEDDING AT YOUR VENUE? We only provide and charge for the space, and do not handle the catering/rentals/vendors/décor aspects of the event. We supply a list of authorized caterers who also act as your event producer and can be contacted directly to best assess the total cost of your event. We require that all event production-- food, drink, third parties and rentals (i.e.- linens, high-tops, etc.) be coordinated through one of our authorized caterers. CAN I BRING IN MY OWN CATERER OR FOOD? No. No outside food or beverage is permitted at Manatee Lagoon. All catering and event production elements must be coordinated through an FPL-approved Authorized Caterer of your choice, and at your expense. Manatee Lagoon’s list of pre-approved Authorized Caterers can be found on our website's "Venue Rentals" page. WHAT ARE THE CATERING PRICES AT YOUR VENUE? CAN I RENT THE VENUE FOR A CHILD'S BIRTHDAY PARTY? Unfortunately, at this time, we do not accept venue reservations for children's birthday parties. Monday – Thursday, 5 p.m. – 10 p.m.
Monday – Thursday, 8 a.m. – 10 p.m.
Friday, Saturday & Sunday, 5 p.m. - 10 p.m.
Saturday and Sunday, 8 a.m. - 10 p.m.